I love long, leisurely baths. I enjoy reading a good book for pure entertainment. I love sitting in my favorite spot by my front window with a good cup of coffee. And I love playing video games with my husband. What do all the above things have in common? There all things I do to relieve stress. If I could figure out a way to do all of these together, I’d never be stressed again. 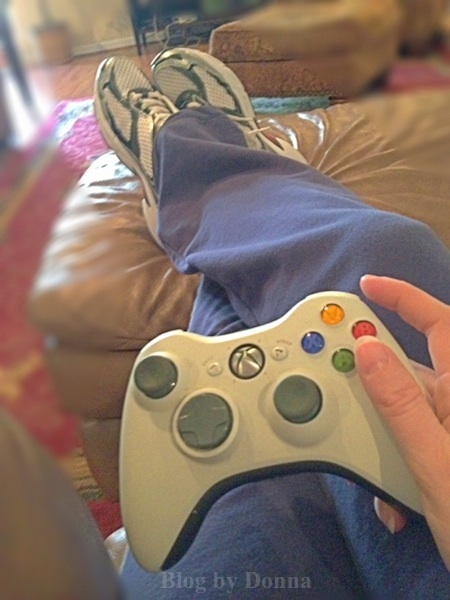 I really do enjoy playing the XBox, Wii, or the Wii U with my son and/or my hubby. I find it therapeutic to play certain games against with my hubby because, well… I’m a wee bit competitive. I like to decompress after a long day by beating my husband at video games (board games, card games, you get my drift). Okay, I have to be honest, my husband is good at video games, but I do win my fair share against him. I also enjoy playing games together, as a team. Which Far Cry 3 has multiplayer mode, where we can play as a team. Beyond the limits of civilization lies an island, a lawless place ruled by piracy and human misery, where your only escapes are drugs or the muzzle of a gun. This is where you find yourself, trapped in a place that has lost the ability to discern right from wrong. A dark place that lives by the principles of violence. Discover the island’s bloody secrets and take the fight to the enemy; improvise and use your environment to survive; beware the beauty and mystery of this unexplored paradise, and live to outwit its roster of ruthless, desperate characters. You’ll need more than luck to survive. I know it may seem strange to many of my friends that I would like these types of games, but it is something I think I enjoy because it’s one of the genre of games my husband likes. So early on in our relationship it was one of the things we did together. Because in all seriousness, it is just a game. Our son isn’t allowed to play or watch them, though, because he’s too young. Are you or your significant other into gaming? If so don’t miss out on Amazon’s Gold Box Deal of the Day of Far Cry 3 for only $34.99, today only! It’s a great way to unwind. Be sure to tweet for your chance to win your own copy of Far Cry 3! Disclosure: Thank you to Ubisoft for sponsoring this post. Please visit Amazon.com to get your own copy of Far Cry 3, today’s Gold Box Deal of the Day! I was selected for this opportunity as a member of Clever Girls Collective. All opinions are my own. I have a Wii and I like to play against my hubby, but he gets mad because I beat him…frequently. When, on the oft occasion he beats me you would think that a parade would be held for his win! Bad form! LOL. I definitely de-stress with gaming too! My husband would love it if I played more xbox games with him. I’ve been hearing so much about this game lately, I can’t believe that my husband doesn’t already own it!